There are plenty of people in USA who own a trailering business or work in the associated industry. 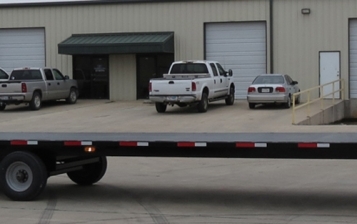 If you are one of them, you must bear in mind that it is important for you to implement certain measures in order to make your car hauling trailer last for a long period of time. The best thing about all of it is that you do not need to feel overwhelmed because of the maintenance work - it’s not as difficult as it sounds. 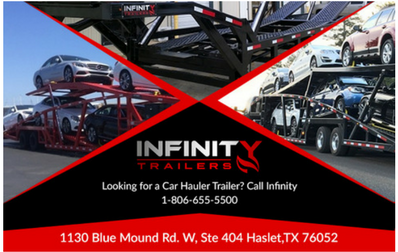 Our experts at Infinity Trailers have shared a number of tips that you can follow for ensuring the best upkeep of your trailer, as well as enhancing its longevity. When you decide to grease the bearings of your trailer, make sure to properly check the outer spring’s compression as well. If the springs appear to be somewhat extended, you are good to go. For ensuring a thorough inspection of the spring, have the bearings removed first and pull them apart after that. The brakes of any car hauling trailer, along with the bearings, generally have to undergo a lot of wear and tear after continued usage for a long period of time. Therefore, it is very important for you to ensure their proper upkeep. Apart from that, the drums and brakes also trap dust particulates that can lead to premature wear. As such, they should be washed and rinsed regularly for effective elimination of debris and dirt. When it’s for brake replacement, change the hardware, wheel cylinders and shoes also. Any car trailer’s electrical components must stay in proper working condition at all times for preventing accidents and unwanted scenarios on the road. Therefore, prior to setting off anywhere, don’t forget to carefully check every single light on your trailering equipment. If at all something seems faulty, immediately check the bulbs and the plug. In case no issue is found with either, it can be a wiring malfunction. Despite of the fact that a trailer coupler does not require heavy maintenance, you should still inspect it daily just to make sure that it’s functioning like it should. Grease the coupler every once in a while and also check for wear. Don’t forget to lubricate the locking mechanisms and tongue jack also. 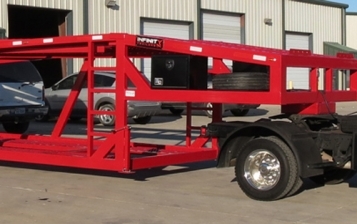 So follow these guidelines to keep your hauling trailer in proper working condition for a long period of time.